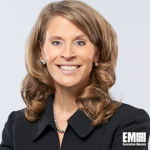 Hitachi Vantara has announced the appointment of Jonathan Martin, a nearly two-decade marketing veteran in the technology industry, as chief marketing officer and Kristin Machacek Leary, a more than 25-year human resources leader, as chief HR officer. Leary and Martin will report to Scott Kelly, chief operating officer and chief transformation officer at Hitachi Vantara, as part of the company’s executive team, the company said Friday. Martin will oversee global marketing strategy, brand and corporate communications, demand generation, marketing operations, digital and customer experience and global learning teams at Hitachi Vantara. 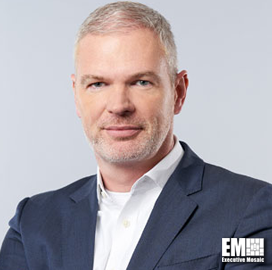 He previously served as CMO at Dell EMC, HP Software and Pure Storage and held senior marketing roles at Veritas and Salesforce (NYSE: CRM). Leary previously served as vice president and CHRO at Forcepoint and held HR leadership positions at Boston Scientific, HP, Quintiles and Alphatec Spine. Hitachi Vantara also announced the launch of its global headquarters in Santa Clara, Calif., to accommodate the offices of the firm’s Global Center for Social Innovation and Hitachi America as well as advance the company’s digital transformation strategy. Hitachi Santa Clara Square is a 1.7M-square-foot building developed by Irvine Co. and designed by architectural firm Pei Cobb Freed & Partners.